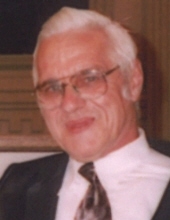 Russell F. Withrow, 78, of Charleston, passed away, April 4, 2019, CAMC, Memorial Hospital. He was a member of North Charleston Apostolic Church, former employee of O. V. Smith and Sons, Elkview, and a former employee of U. S. Security. He was preceded in death by his parents, Jess Withrow, Sr. and Nellie Withrow; brother, Jess Withrow, Jr; sisters, Barbara Ann Woodham and Evelyn Slusher. Surviving are; his wife, Phylis; son, Rusty Withrow of Charleston; daughters, Connie Martin and Bonnie Johnston, both of Charleston; stepsons, Carlos Stover of Spencer, and Gregory Stover, of Charleston; brother, Ronald Withrow of Perry, Georgia; sister, Dorothy Albert of Alabama; grandchildren, Randy Withrow, Josh Withrow, Michelle Jessie Martin, and Mike Johnson; step-grandchildren, Alaina Dornslfe, Avery Dornslfe, Joseph Striker, and Aubrey Carte. Funeral service will be 1 p.m. Monday, April 8, 2019 at Cunningham-Parker-Johnson Funeral Home, Charleston, with Pastor Anthony Moss, officiating. Burial will be in Valley View Memorial Park, Hurricane. Visitation with the family will be one hour prior to the service Monday at the funeral home. To send flowers or a remembrance gift to the family of Russell F. Withrow, please visit our Tribute Store. "Email Address" would like to share the life celebration of Russell F. Withrow. Click on the "link" to go to share a favorite memory or leave a condolence message for the family.